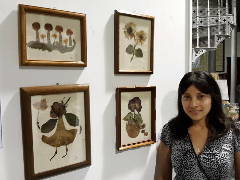 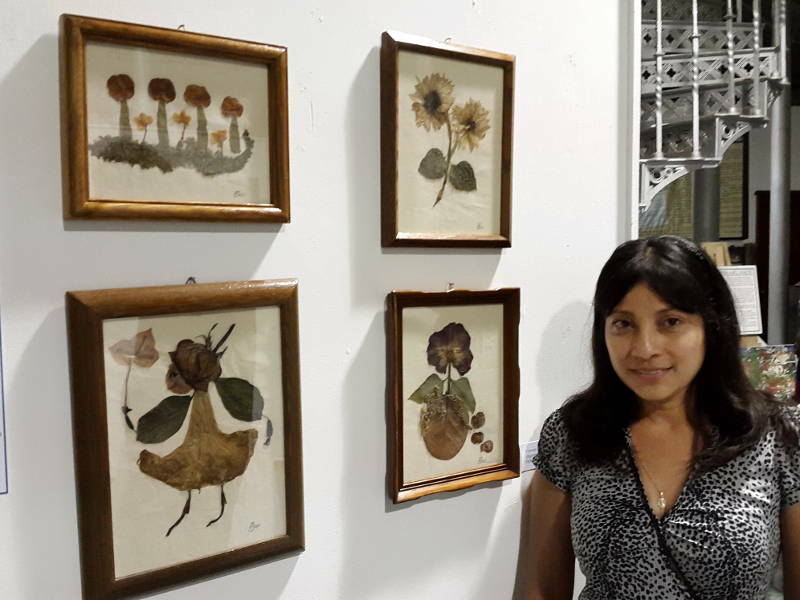 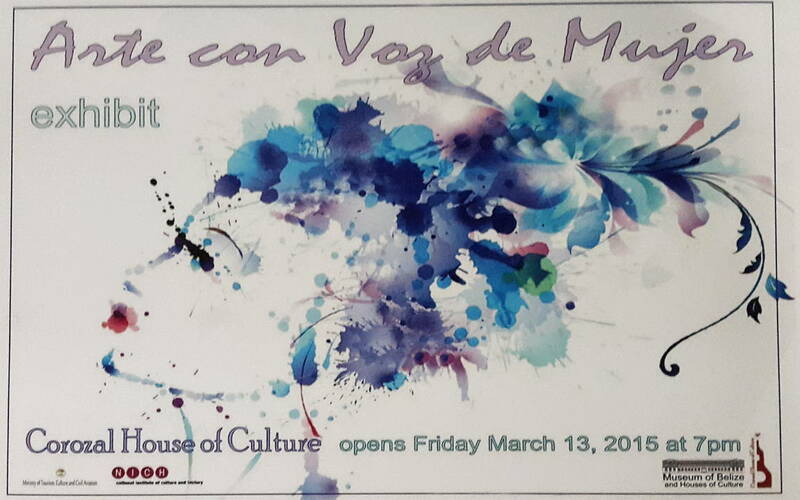 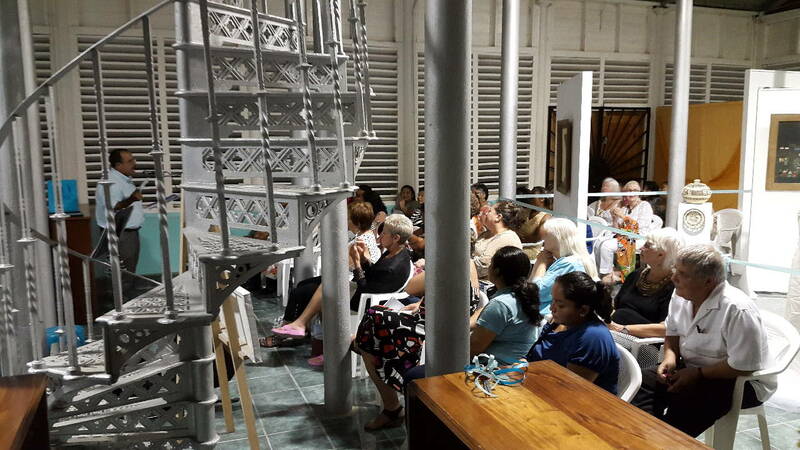 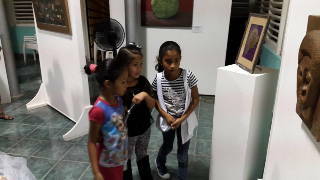 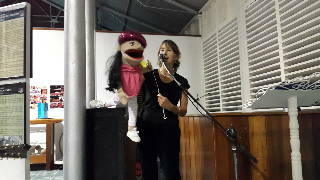 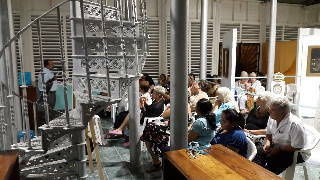 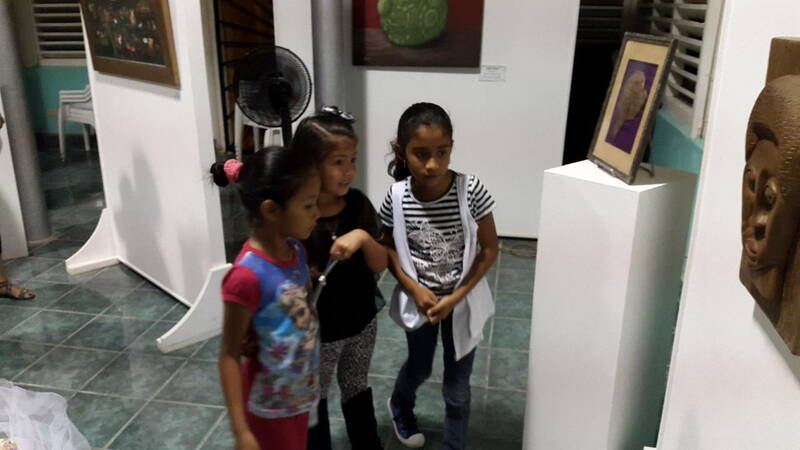 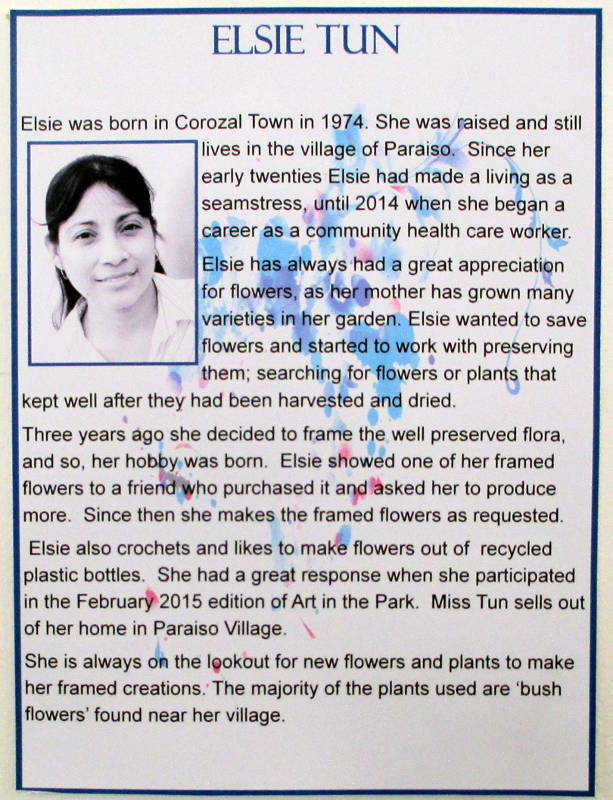 The Fifth Annual Arte Con Voz de Mujer exhibit opened at the Corozal House of Culture on March 13. 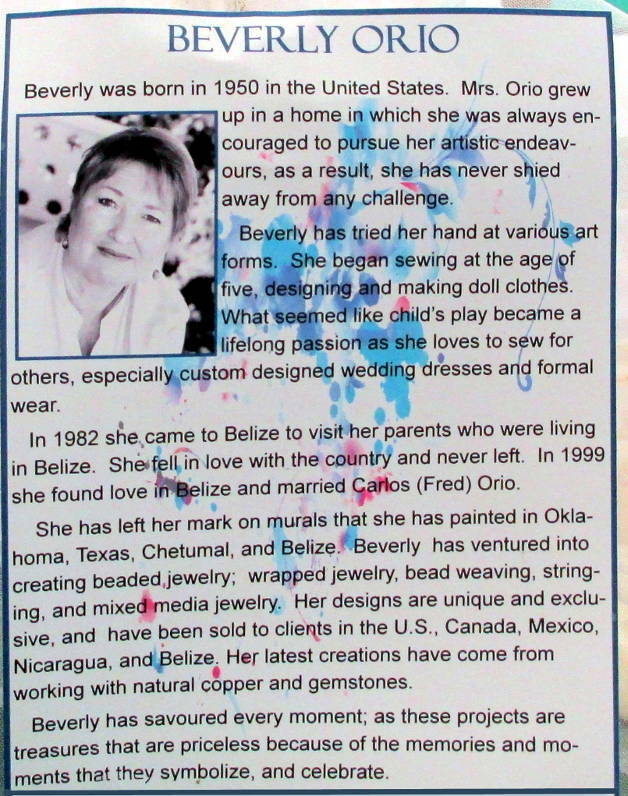 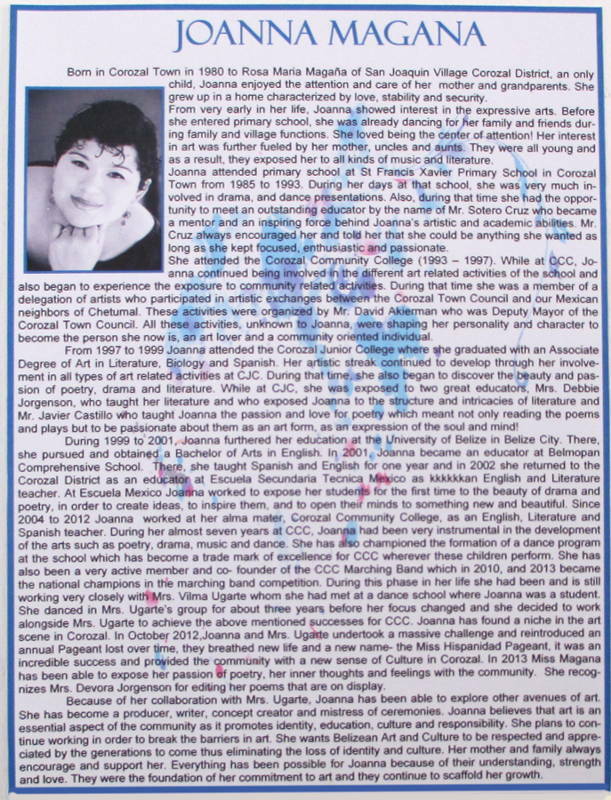 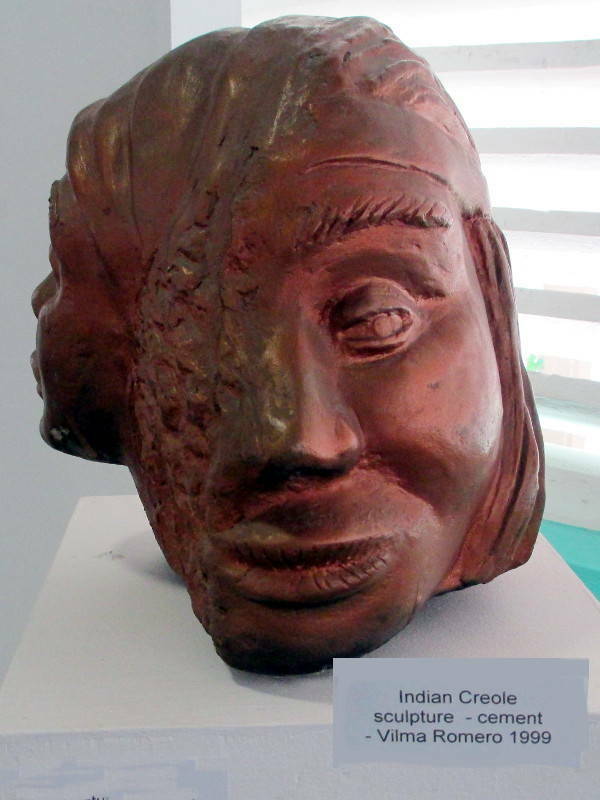 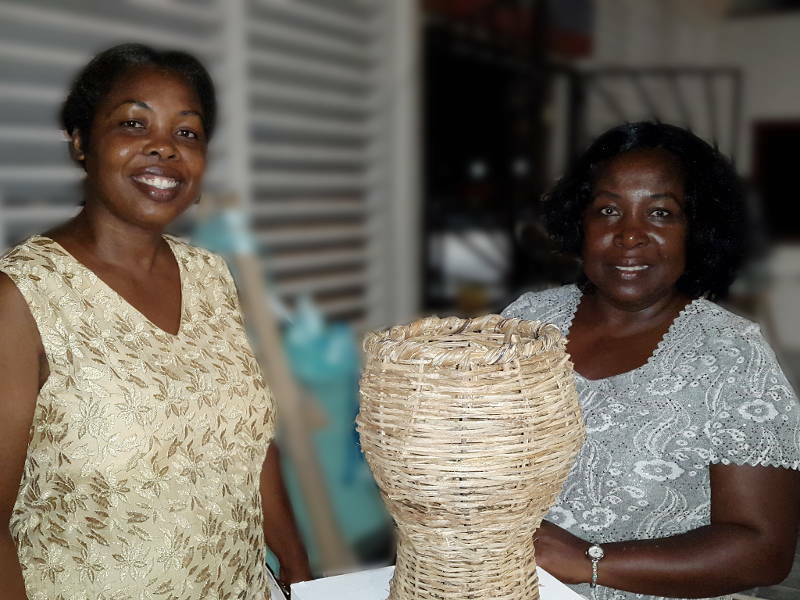 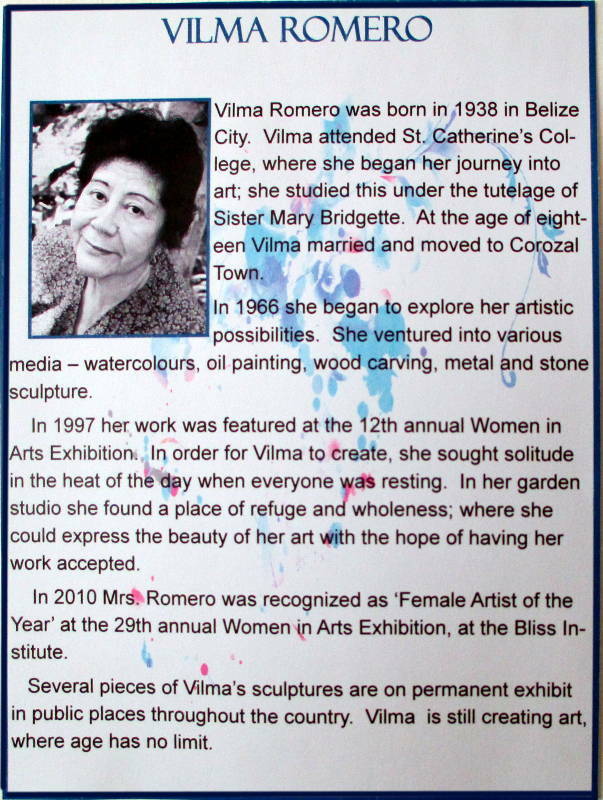 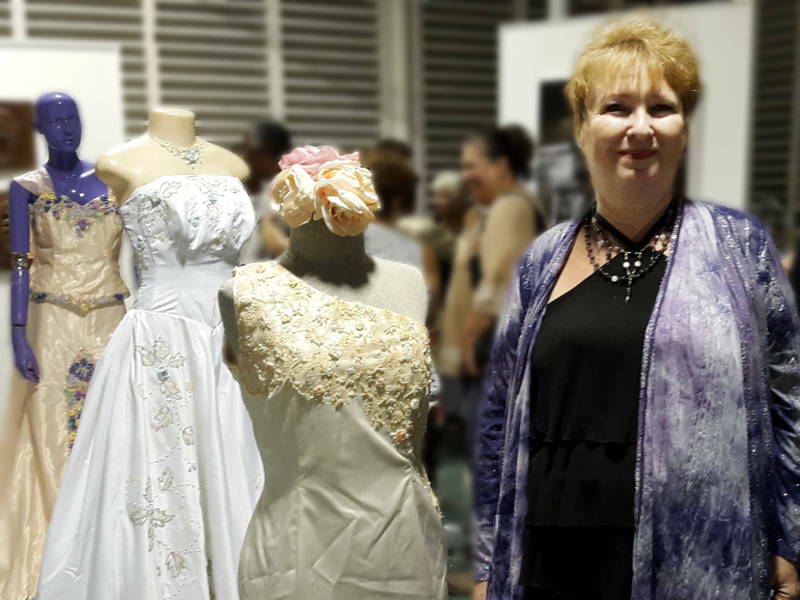 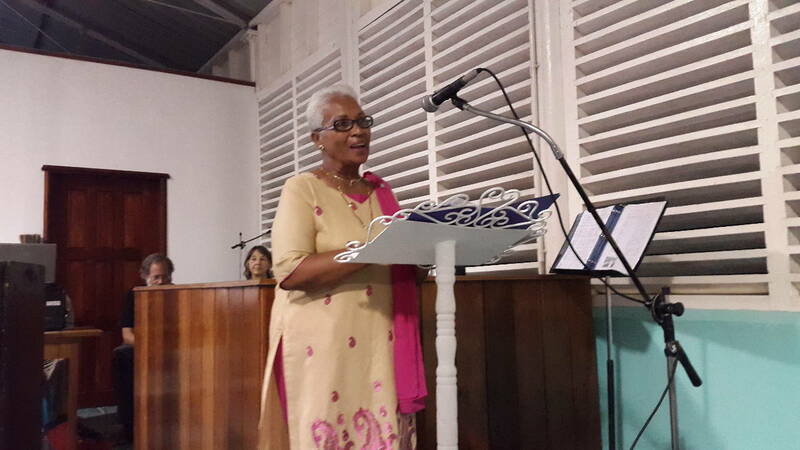 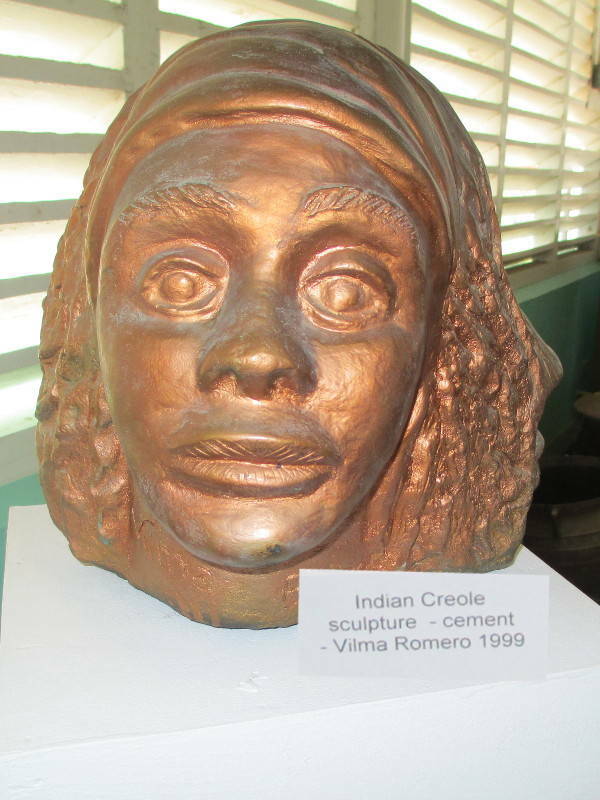 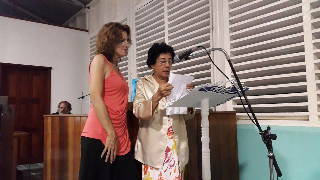 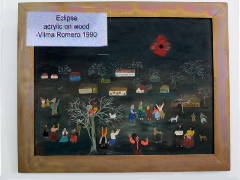 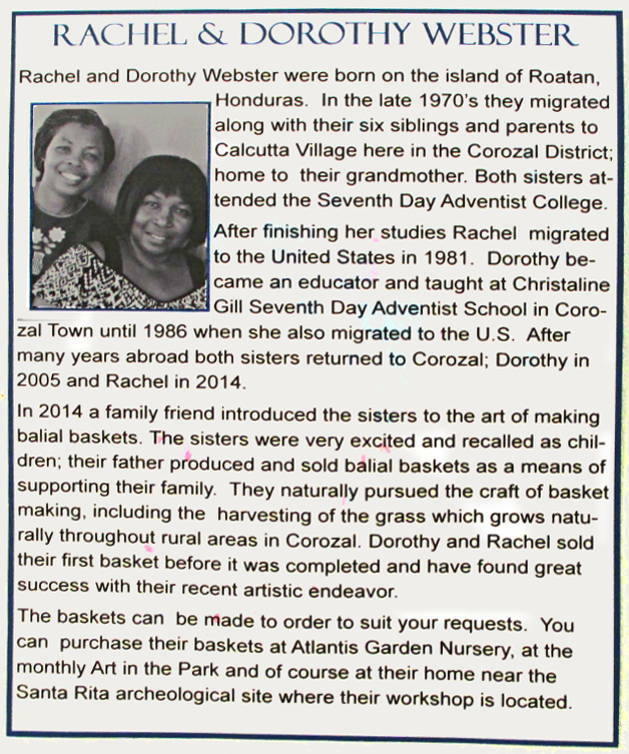 Vilma Romero, a Corozaleña who is a nationally known artist was featured and given special recognition for her contributions to the world of women’s art in Belize. 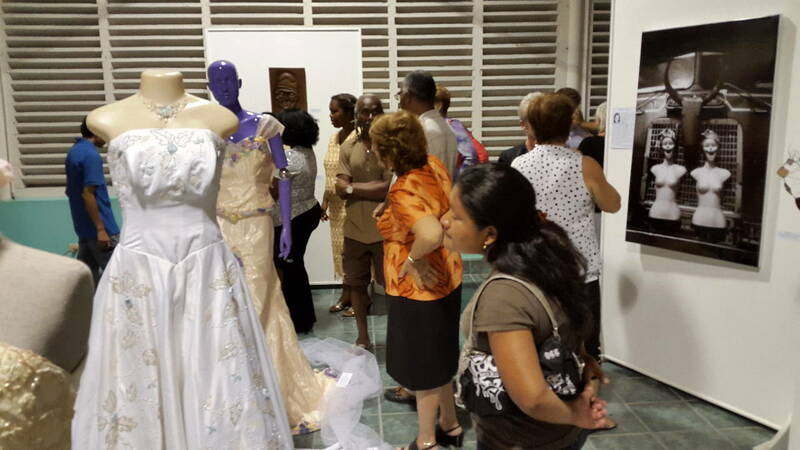 The exhibit was open through the month of March, 2015. 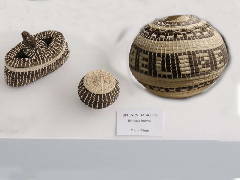 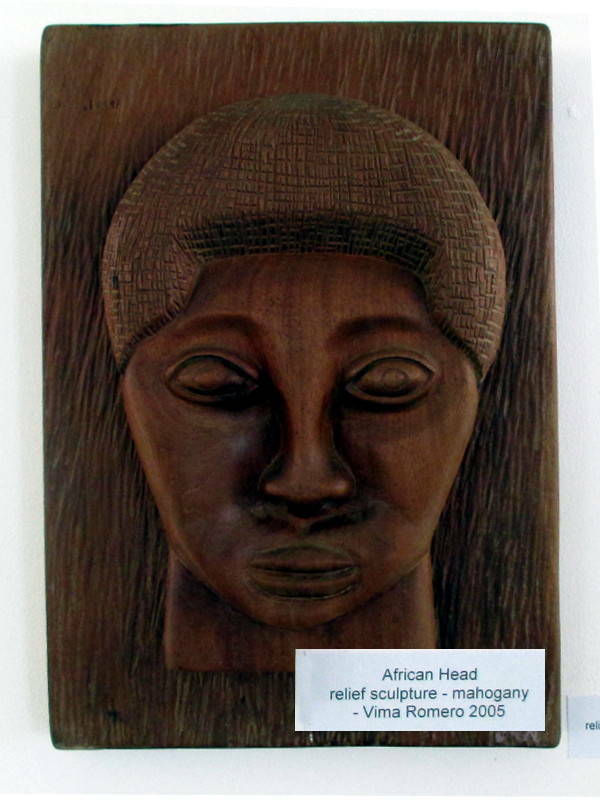 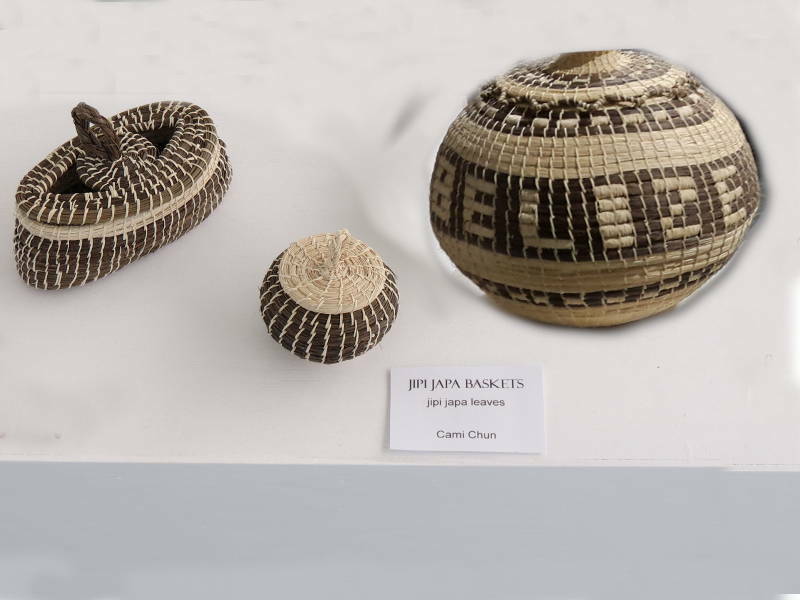 Of the ten women artisans, four were new to the exhibit, including a couple of sisters who do basket weaving. 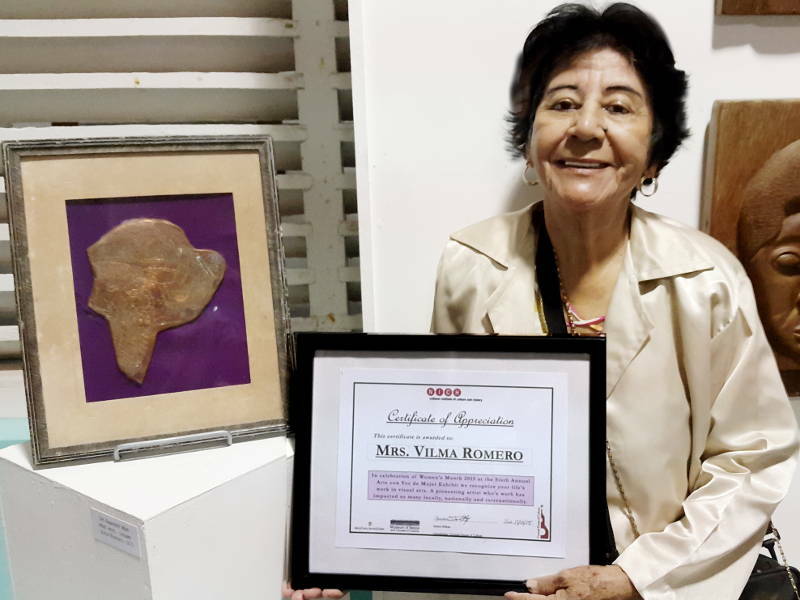 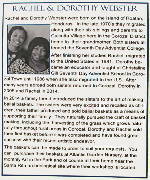 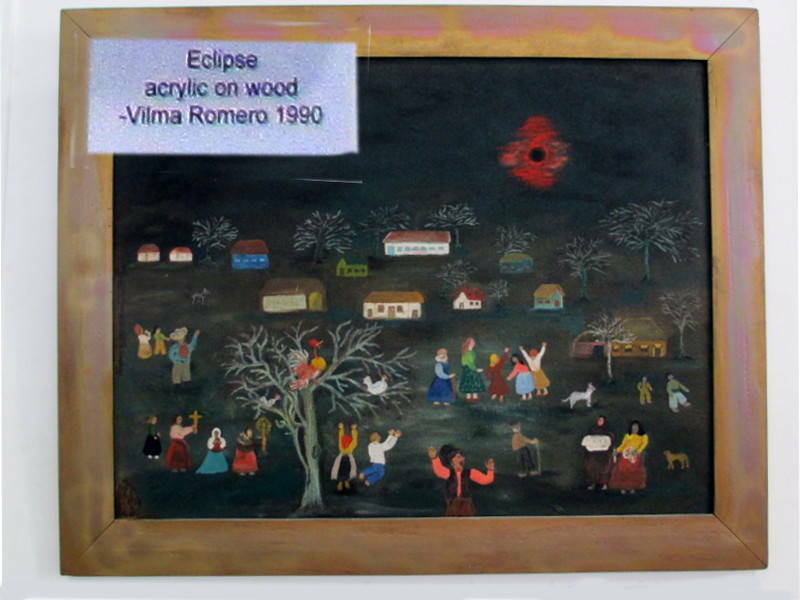 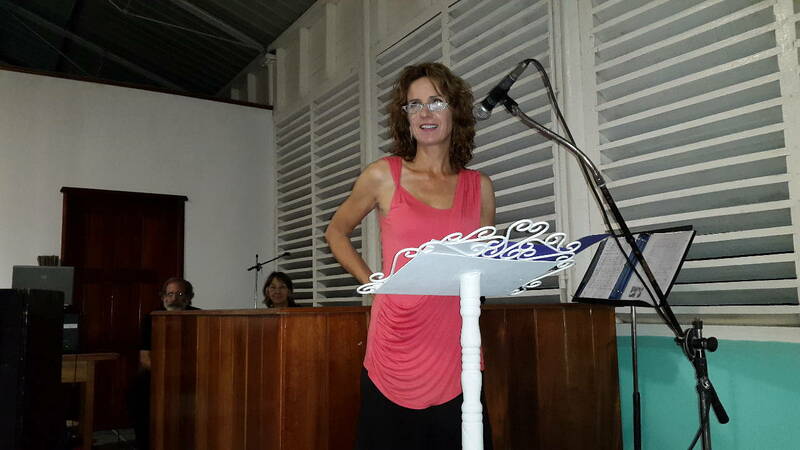 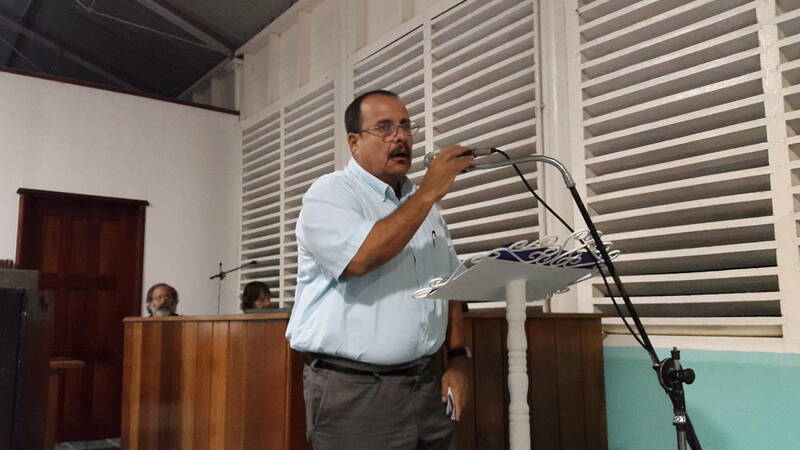 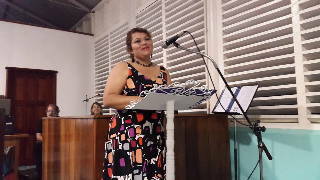 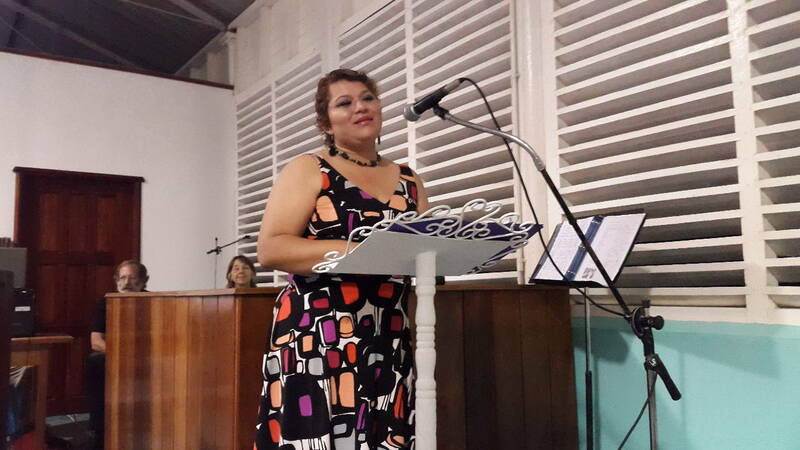 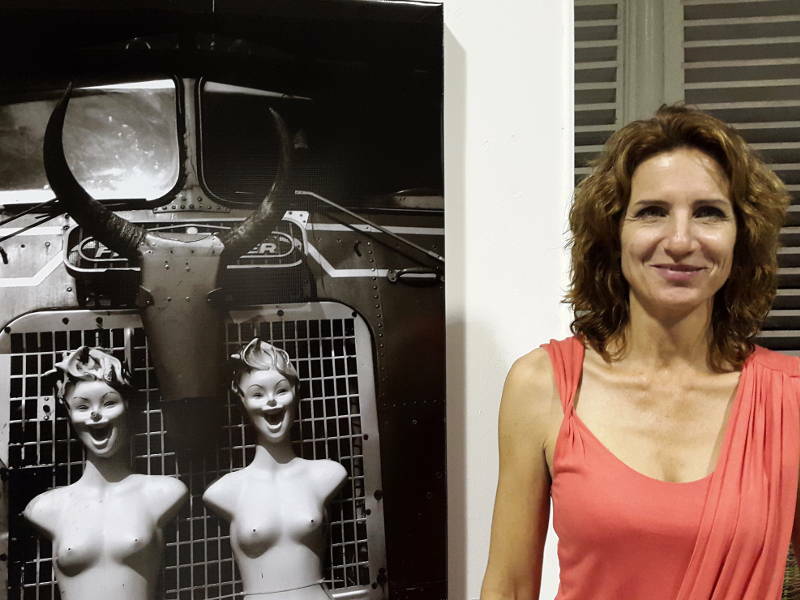 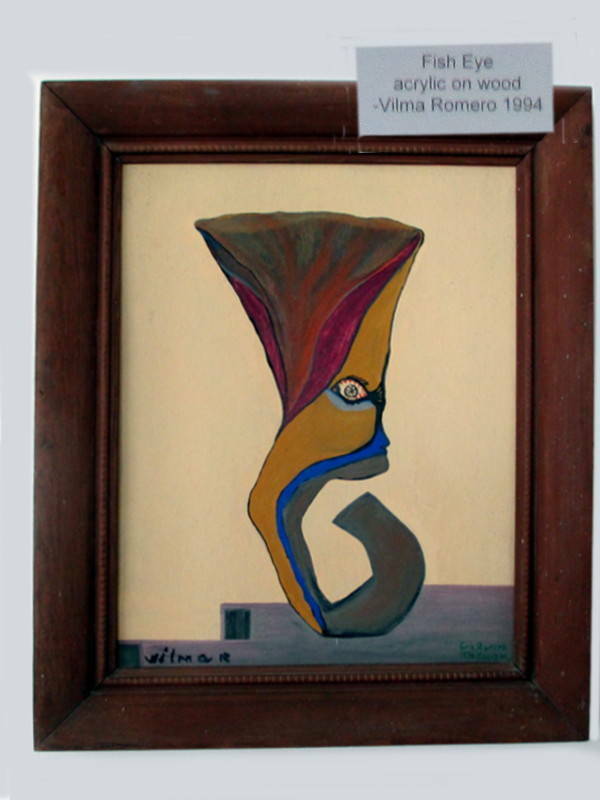 Vilma Romero was chosen Woman Artist of the Year 2015 for Corozal Town. 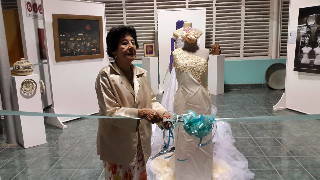 She was awarded a special certificate, she made a speech, and she cut the ribbon for the exhibit. 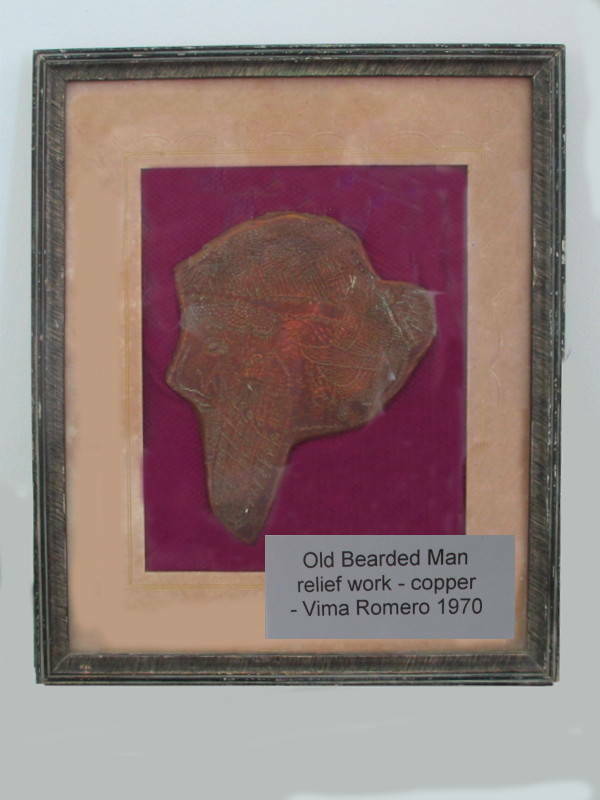 Mrs. Romero has a history of artistic accomplishments that spans decades. 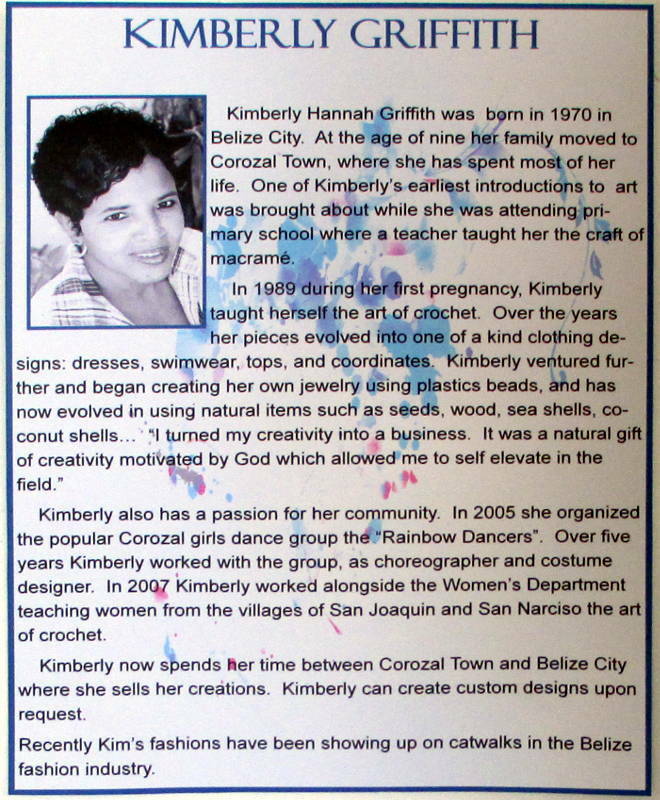 She has been recognized nationally several times. 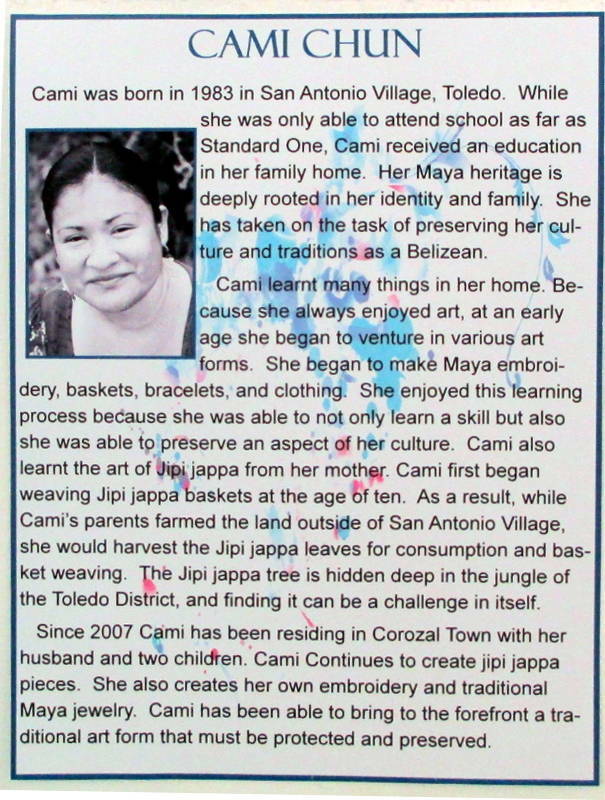 You can read her bio in the first image in the gallery below. 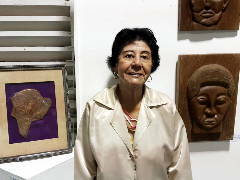 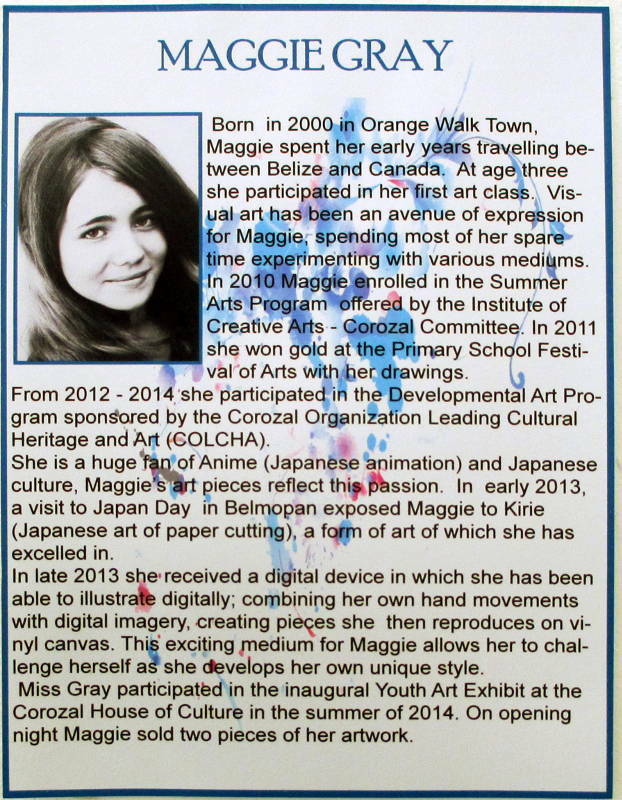 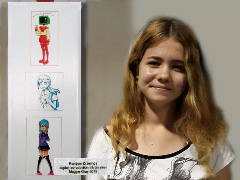 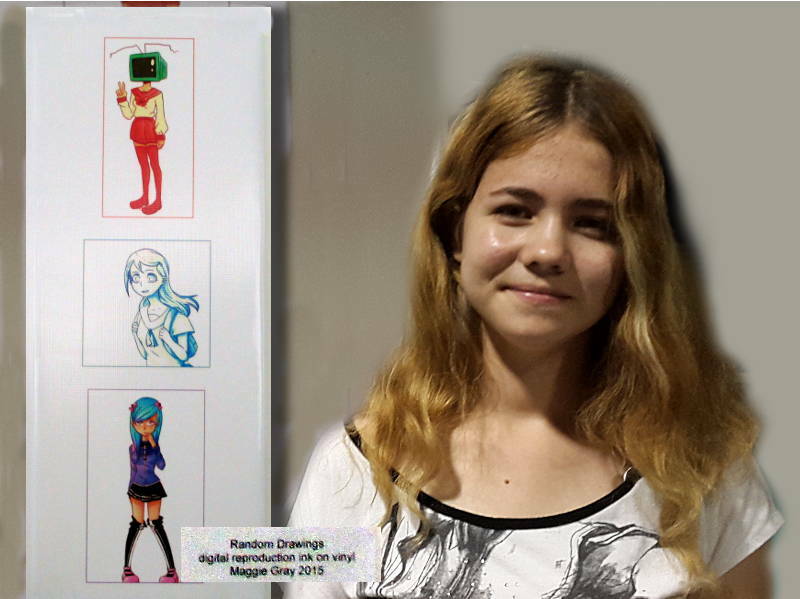 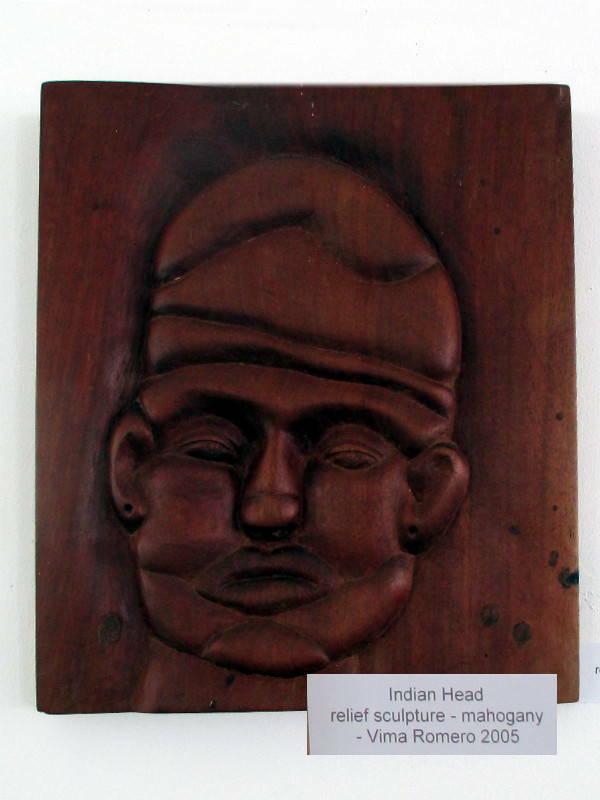 There are also images of each of her works that was on display. 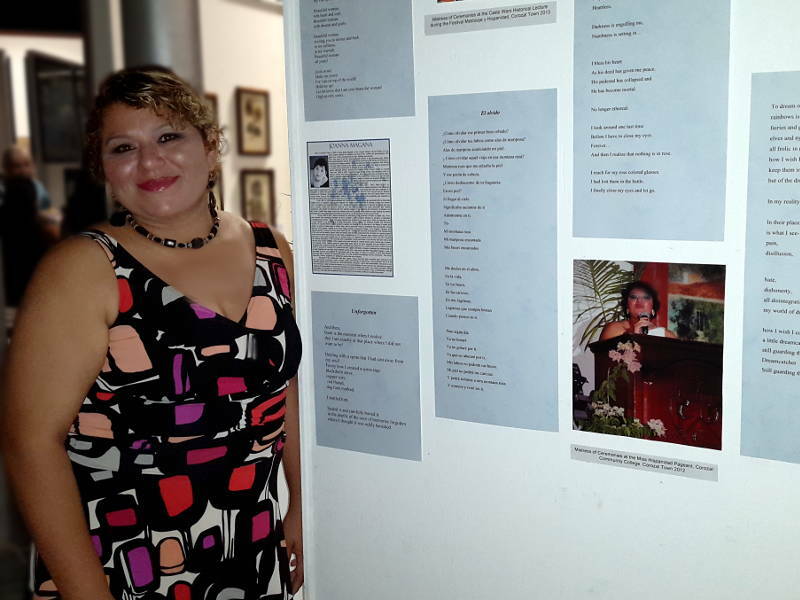 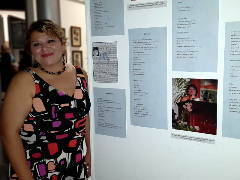 For more photos from the Arte con Voz de Mujer Exhibit See this Gallery Page. 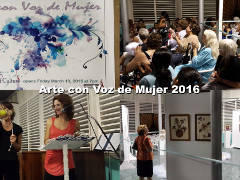 Printed from https://corozal.com — Arte con Voz de Mujer 2015.